I grabbed a six pack of this wine after having a sip at a tasting. At the time, I noted it needed a year in the cellar. I opened a bottle after about a year in the cellar and it had opened nicely but still needed a bit more time. It’s a nice time to see if the additional 11 months have been rewarded. This is a blend of 75% Grenache and 25% Syrah. This wine has 13.5% alcohol by volume and the bottle is sealed with a natural cork. Our history begins in 1929 when my grand father decides to bottle and trade under the signature Pierre Amadieu his wine coming from the 7 hectares (17 acres) of vineyard in Gigondas passed on by generation to generation. He is then one of the firsts to print the name of the appellation on his bottles and obtains from 1932 a golden medal in the National Agricultural Concours of Paris. I am presently on the head of the company and I am in charge of winemaking and maturing. I work with my uncle Claude who runs the vineyard. Together we follow the familial way of thinking by respecting soils and traditions in order to make you share wines faithful to the quality ambition of our grandfather and by adding a note of modernity in order to delight the most demanding and the most curious palates. I am not a follower of over-extracted wines and often “heavy” to taste; my ambition is rather to obtain well-balanced wines with a Burgundy fineness. Through the maturing I try to reveal all the elegance and the richness of our protected terroirs located on the heights of the appellation Gigondas. From vines to the bottling patience and observation are required. Today appreciated all over the world, every vintage reserves its subtleties which I am happy to subject to your appreciation. 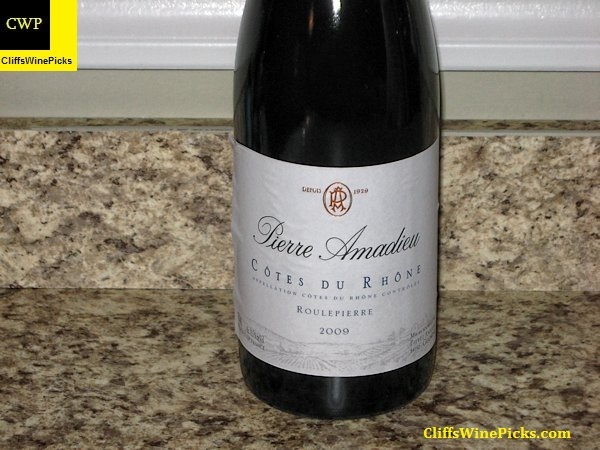 I bought a few bottles of this wine when the store brought in a few cases for an end of vintage sale. To me, this was a no brainer. 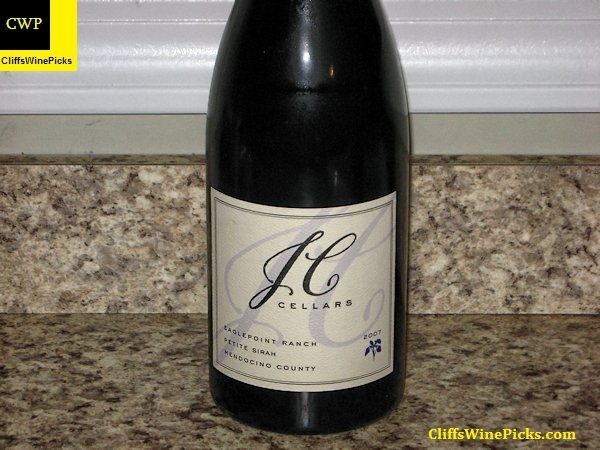 I love JC Cellars and Petite Sirah, so when these were offered at about half off, several followed me home. This has 15.0% alcohol by volume and is sealed with a natural cork. 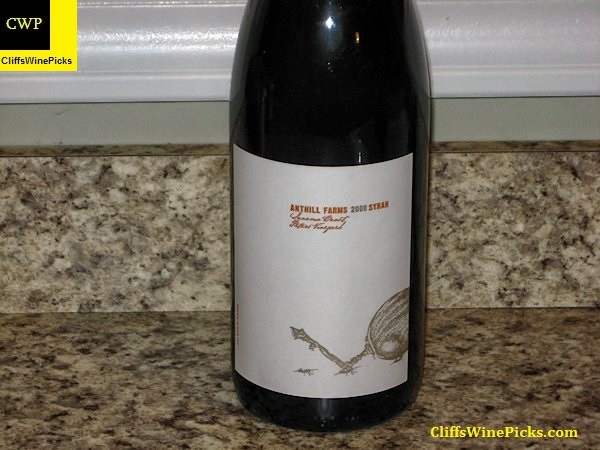 Anthill Farms is more noted for their Pinot Noir wines but I’m a big fan of their Syrah based wines. Very little of their wines make it out of their mailing list so the best way to procure the wines is via the list. Unfortunately, it looks like their mailing list is currently full, but you can click here to get on the waiting list. About the vineyard – Randy Peters and his father-in-law, Tom Mukaida, farm this vineyard outside of Sebastopol in western Sonoma County. The southern slopes of these hills form the northern edge of the Petaluma Gap, which rushes cool, marine air from the Pacific Ocean inland. The vines, a mix of Pommard and 777 planted twenty years ago, produce grapes that ripen unusually slow due to the oft-present morning fog. 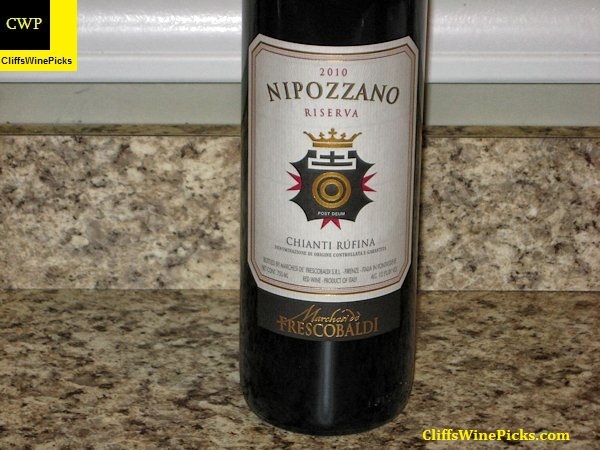 This wine has 13.6% alcohol by volume and the bottle is sealed with a natural cork. I’ve been a big fan of Aalto for several years. These are big, tannic beasts in their youth that, with some cellar time, round into very pleasurable bottles of Tempranillo. The winery’s website is “under construction” so the following information is from the Drink Ribera site. 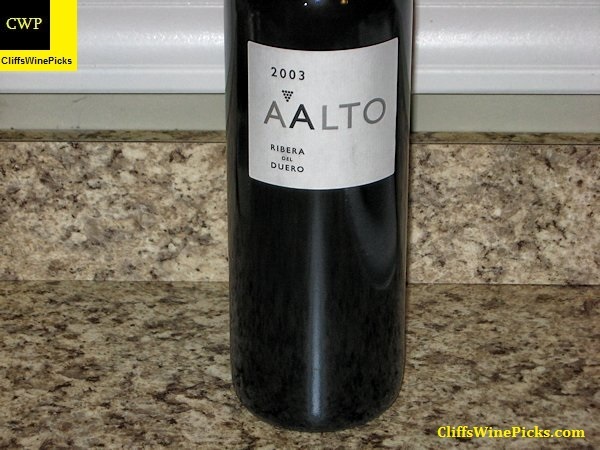 Aalto was founded in 1999 by Mariano García and Javier Zaccagnini with the aim of making a new wine, based on very old vineyards and Mariano’s expertise. After 10 years, the winery is considered a leader in Ribera del Duero and has obtained the highest reviews in many tastings. Top scores include three 98 point-ratings from The Wine Advocate, and twice being named Best Wine of Spain, as selected by Michel Bettane and Thiery Dessauve’s book of the Best 100 Wineries of the World. 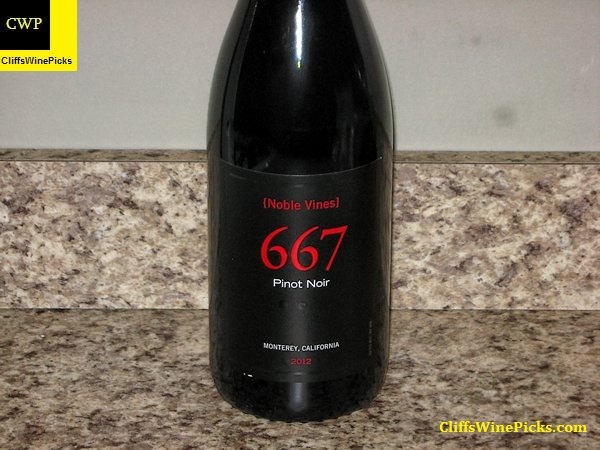 Noble Vines is a label produced under the Delicato Family Vineyards umbrella of wineries. This was a new one for me when I tried a taste at a local wine store’s tasting a week ago. Though it was nothing too special, it seemed like it would be a nice bottle of Pinot to enjoy along with a week night dinner. For around $10, a couple bottles followed me home. 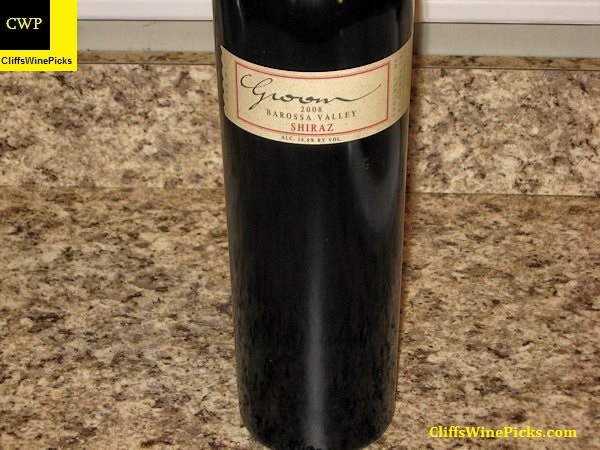 This wine has 14.5% alcohol by volume and the bottle is sealed with an agglomerated cork. This wine was offered as an e-mail special about three years ago. I stopped in for a free taste of the wine and decided I could make some room in the cellar for a six pack. The wine obviously was made for the long haul and needed some cellar time. Today is the day to check in to see how it is progressing. Marschall Groom Cellars is a very small family winery situated in the famous Barossa Valley region of South Australia. The winery produces three varietals, Sauvignon Blanc, Shiraz & Zinfandel – under the label GROOM. Marschall Groom Cellars is the culmination of a dream, backed up by many years of talk and family discussion. The proprietors are David & Jeanette Marschall and their six children, and Daryl & Lisa Groom and their four children. The dream started to become reality with the purchase of 87 acres of bare land in the Kalimna appellation of the Barossa Valley, directly adjacent to the renowned Penfolds Kalimna vineyard – the home of Grange. In 1997 the first acres on our Kalimna Bush Block were planted to Shiraz, producing its first crop in the 1999 vintage. To complement our young Shiraz fruit we source from one other very reputable high quality vineyard in the Barossa, the Fechner Vineyard which is home to 50 year-old vines. Also working with the company to maintain and ensure our quality standards is Consultant Winemaker, Natasha Mooney; previously the winemaker for E&E Black Pepper Shiraz, and now working closely with Daryl to produce our stunning wines. Our wines are hand-crafted and produced in limited quantities. This wine is a perennial favorite to pair with pasta. Even though, I prefer the wine with a bit of cellar time, I wanted to open this bottle to see if I need to stock up before it disappears of the store’s shelf.